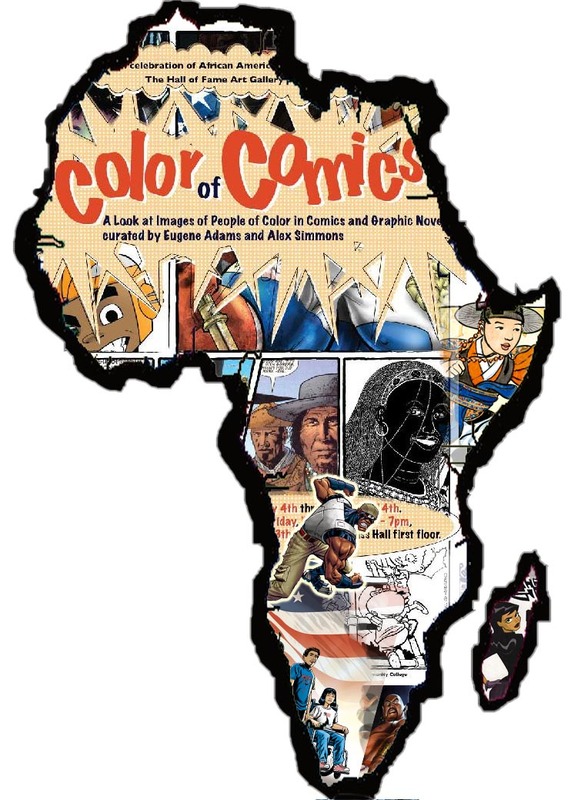 With the support of The American Embassy Dakar, Stephanie Nails-Kane, and The Senegalese American Bilingual School, The Color of Comics exhibit made it to Senegal, Africa. Introduced an exhibition of comic art by the students of the Senegalese American Bilingual School. And our exhibit became part of an international arts festival there, the World Festival of Black Art & Culture (also known as the FESSMAN)! Thus making this event, The Color of Comics Expo, a fantastic success! on 2010/03/05 at 11:07 am | Reply JOSE TORRES JR. I ABSOLUTELY, WITH OVERWHELMING APPRECIATION PLAN TO ATTEND THIS MONUMENTAL EVENT IN HONOR OF THE ATTRIBUTES( PAST & PRESENT ) OF THE COLOR OF ARTIST. This is wonderful news. I commend your success in the tour of this exhibit and all it means to everyone currently doing books and other popular arts for/from the perspective of the African Diaspora! Taking the show to Senegal is a huge plus! The more that we are all aware of our collective contributions, the better.